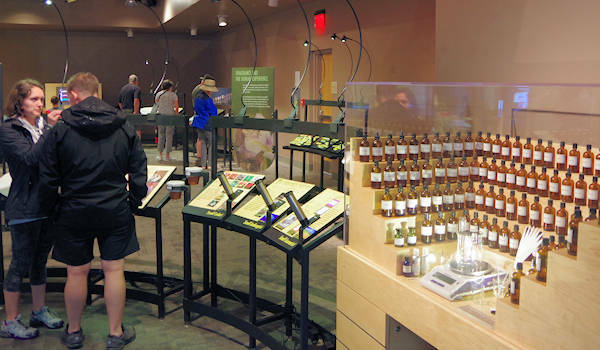 Use both your eyes and nose to discovery fascinating tidbits about the artistry, history and science of fragrance at The North Carolina Arboretum’s newest traveling exhibit, Making Scents: The Art and Passion of Fragrance. While the centerpiece of the display is inside the Baker Exhibit Center, you'll find many interesting stations throughout the gardens. 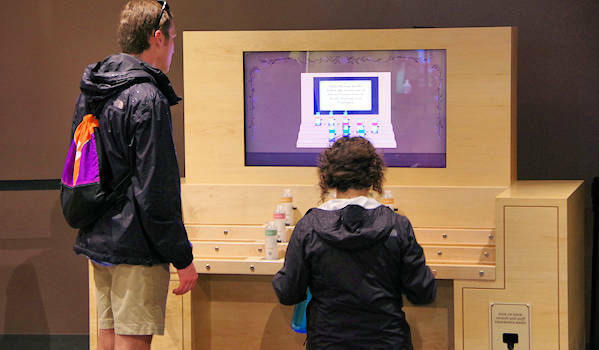 It's very interactive, offering an innovative way to learn about some of Mother Nature’s most aromatic botanicals and the history of perfume that spans centuries. 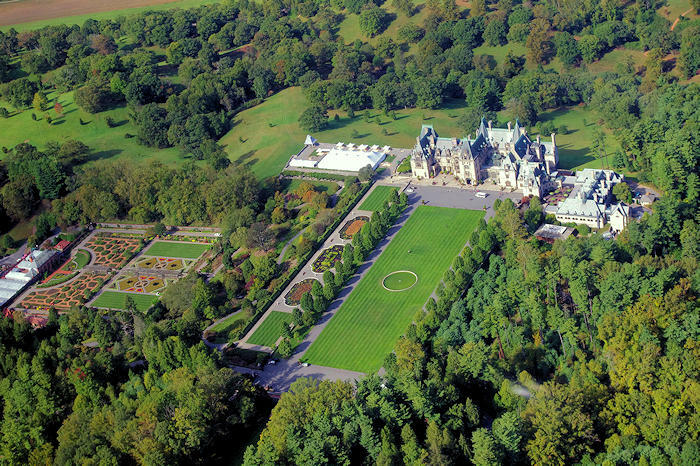 After the exhibition ends, it will travel to some of the top botanical gardens in the country. So don't miss it in Asheville! Making Scents uncovers the process behind fragrance creation through a multi-sensory experience that is fun for the entire family. 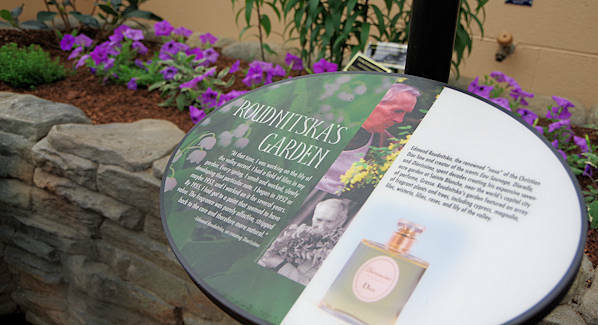 Find many "read and sniff" stations, along with plants that produce the scents. From the amount of rose petals needed to make Chanel No. 5, to North Carolina farmers’ role in scent production, to Napoleon’s desire to consume cologne, discover fascinating trivia without getting bogged down with over-technical jargon. On busy days, expect a line at the popular "create your own fragrance" computerized stations. Be a perfumer by picking your favorite combination of top, middle and base notes. The “Perfume Palace” is a gorgeous display of 200 perfume bottles, with some dating to ancient Greece and Rome. Others feature the work of 19th century art glassmakers and designers. 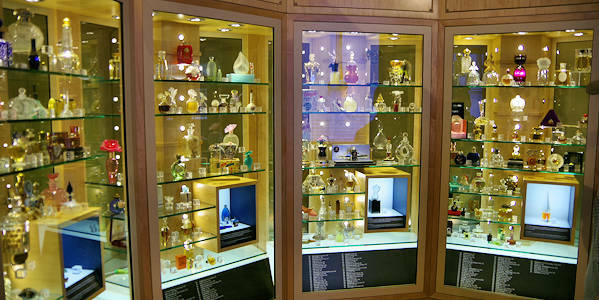 Members of the International Perfume Bottle Association contributed many of the bottles, and a video slideshow highlights interesting facts. 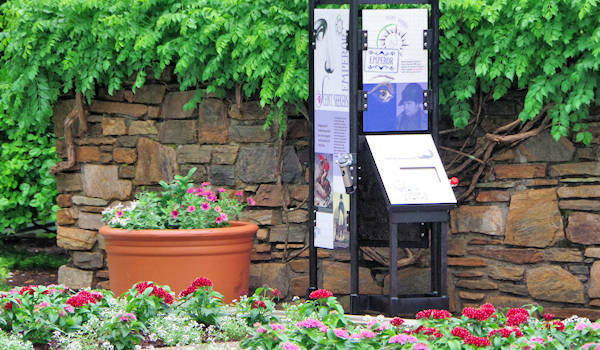 Don't forget to explore the gardens for more great smells, finding stations like this one by the Quilt Garden. 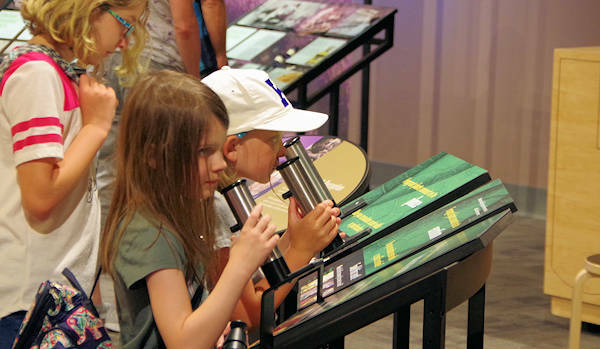 As part of the opening celebration of the exhibit, the Arboretum will host a special ticketed “Scent Soiree” on Thursday, June 7, starting at 6:30 PM, as well as a lecture by perfume expert Dr. Richard Stamelman on Friday, June 8, 6-8 PM. Making Scents is open daily from 9 AM to 5 PM. Exhibit admission is free; standard Arboretum parking fees still apply. 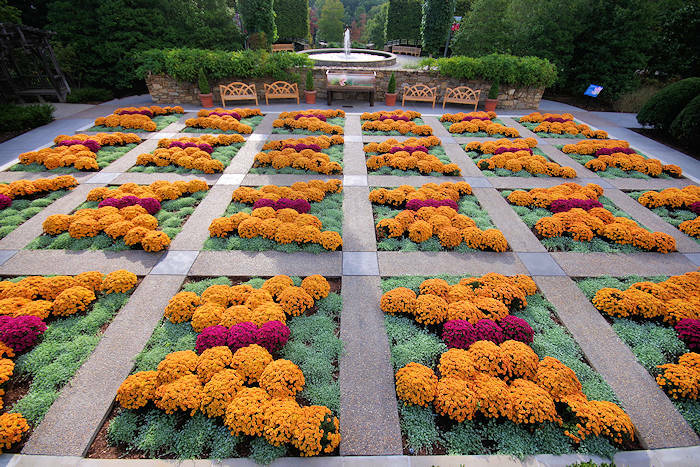 Go to our NC Arboretum Guide for details for visiting, including the many other things to see there. We at RomanticAsheville.com are delighted to be a sponsor! Congrats to the super talented makers of this exhibition at the NC Arboretum.